We all know that, when it comes to garden renovations, one of the hardest parts is getting rid of all the unwanted rubbish at the end of the job. That's where we come in. Our garden clearance service in Derby will take away all the unwanted items from your garden including tree, hedge and plant cuttings, old fence panels/posts, slabs, rubble and other waste from patio or wall demolitions. 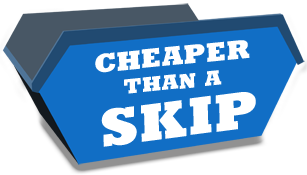 We take all the leg work out of the jobs for you by removing all the rubbish without you having to lift a finger - AND we guarantee to be cheaper than if you'd hired a skip to get rid of it all. 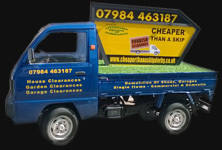 Contact us today on 07984 463187 or email info@cheaperthanaskipderby.co.uk and we'll arrange a free visit from one of the team to come and look at your requirements and give you a no-obligation quote for the work you require.